FEEL (easier). The Fulcrum Technology lowers the foot to ground angle allowing for a smoother, more comfortable landing. RIDE (farther). The Fulcrum Technology reduces overstriding and promotes a more balanced body position iwth a gentle forward lean. STRIDE (faster). The Fulcrum Technology activates the calf muscle for greater forward propulsion and increased forward momentum. Stop in to try out the new Fast 6 and Fluid 5 today. 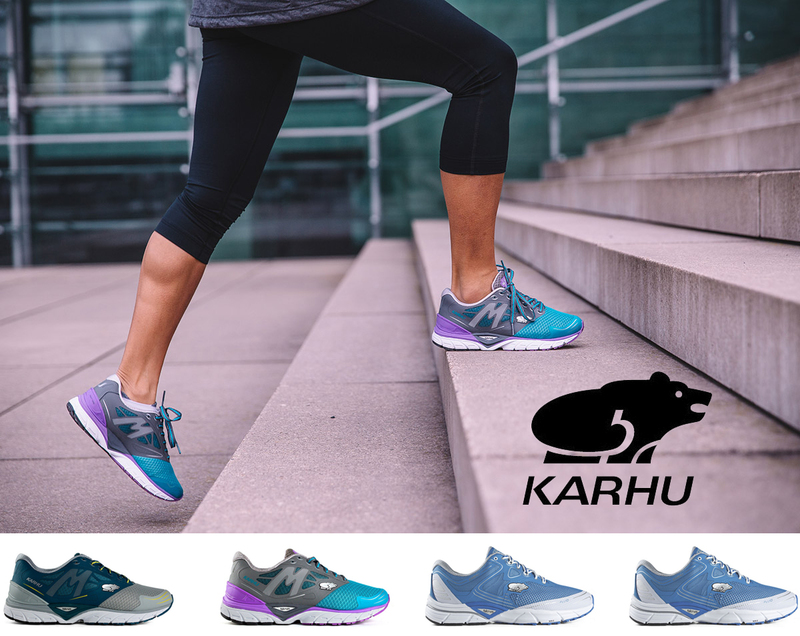 The Fast 6 features Karhu's maximum rolling effect with a full length fulcrum, designed from heel to toe to assist runners of all levels and weights. The Fluid 5 features a half length fulcrum, allowing an accentuated transition off the fulcrum unit onto the forefoot.